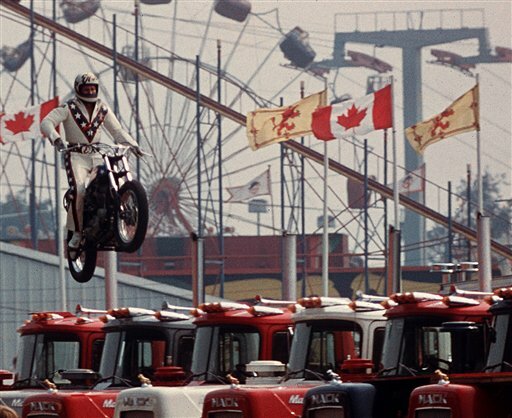 Iconic Daredevil Evel Knievel Dies at 69: ""
My body and my Schwinn Stingray were very abused thanks to this guy's influence. I was saddened to see that he passed away this week. I was impressed with his testimony in the following clip.